Please enter your user name and password below to access your St Cross College Alumni pages. 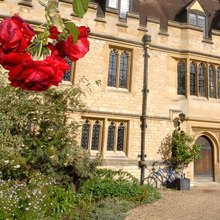 If you already have an account with one of the other Oxford Alumni Online communities, you can use those details to login here. If you do not have a user name and password, please select "New user registration" to register. Logging-in adds a cookie to your computer.